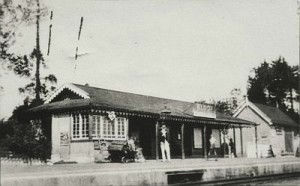 Not much is known about the early days of the area now called Kloof prior to the 1800’s. The first documents relating to the area were recorded with the arrival of the early Voortrekker pioneers. Records show that Kloof is situated on a farm originally called “Tafelberg”, which belonged to a pioneer, Andries van Tonderen. Kloof extends from the top of Field’s Hill and borders Winston Park, Gillitts, Forest Hills and Hillcrest. These suburbs are collectively known as the Upper Highway Area or the Outer West region of Durban. … Kloof features several upmarket shopping centres and the Kloof Country Club, founded in 1927. Kloof contains a wealth of flora and fauna, breathtaking views of Kloof Gorge, walking trails from gentle to arduous, numerous streams and many waterfalls. Kloof is located in the Highway mistbelt, 30km west from the Durban CBD and at an elevation of 540m above sea level. Kloof Conservancy is a key player in protecting and preserving the amazing biodiversity that is found within this beautiful area. Kloof is now an affluent residential suburb with mansion homes on expansive properties. Visit the quaint Village Centre and enjoy an evening at ‘Stoker’s Arms Restaurant’, the original Railway Station building at Kloof.